The creation of internet has evolved tremendously and enhanced out lifestyle as a whole. The way we work, shop, think, technology has taken over almost most all the areas of our life for good. The recent sensation like internet, apps, and IoT has played a significant role in our day to day life. Thanks to the IoT app development companies who have evolved our lifestyle. Over the past few years, the programmatic syntax has evolved and is now available readily. The advancement in technology has given a wide variety of programming knowledge over the internet. The wave of connectivity not only keeps us connected to our laptop and smartphone, but it has also now moved to homes, offices, and cars. The invention of wearable technology has enabled us in building smart cities around the world. 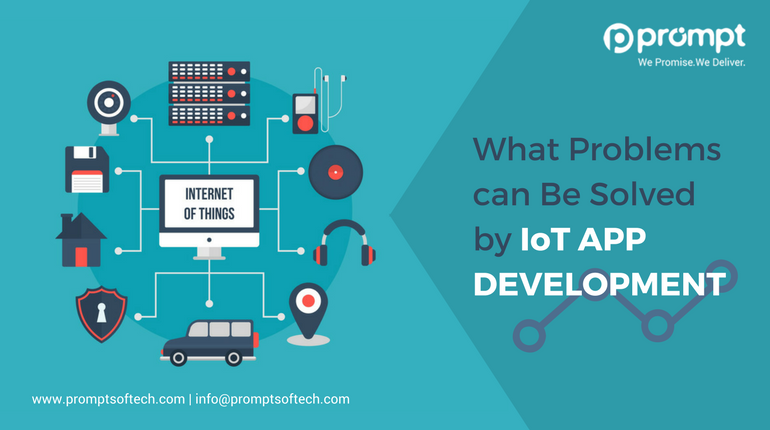 While IoT takes over and makes the life smarter and more accessible for us, it is vital to determine what problems can be solved by IoT app development in the real world. There is no second thought that we as humans have done the worst of things to elevate the destruction of the planet. We as humans also have the power to control it. If you have a smart home, especially the kitchen area that will empower you to be part of the green revolution. For instance, intelligent plugs can quickly detect the kitchen appliances which are not turned off. Though the system will turn off the appliance at the same time, it will notify the owner about the power consumption. This will be a great help as you will not have to worry about the iron, toaster, grinder, AC or any other appliance that you forgot to put off unknowingly. One can also go for smart thermostats which will help you in controlling the temperature and energy consumption. The intelligent technology is capable of turning on the heater or AC 15 minutes before you reach home. Similarly, it will also turn them off while you are out of your home. With technical enhancements, there also comes a need for security, i.e. the data of the company needs to be encrypted at every stage. The deployment of IoT services makes enterprises even more secure because of the biometric sensing, face recognition, finger or footprint identity to unlock doors and turn on and off lights without using a swiping card. Additionally, one can track the punched cards automatically, manage stocks, track security which will be a direct impact on employee productivity. In the present scenario, if any of our home or office appliance breaks down, we often have to check for a replacement. How about the replacement parts arriving your doorsteps even before the breakdown? This is where the IoT app development companies work. They leverage the technology and create sensor who detect the wear and tear of the spare parts and aids you with the replacement beforehand. Employees now a day use earplug even at work. The smart earplugs which are part of IoT services can now track the energy level, efficiency, and mood of the biometric sensing. The same earplug can be used to play music when they fell low on energy. This feature truly helps in enhancing employee’s productivity and efficiency. This eliminates the need for a physical check of stocks and collaboration between suppliers and vendors. Smart City is one of the hot topics which generate curiosity among the world’s population. Automated transportation, smart energy management systems, urban security, water distribution and environmental monitoring are few of the issues faced by cities. IoT services will be solving all these issues faced by people. Sensor-based notifications sent to the municipal services to empty the bin will be a huge help for both the municipal and the people staying there. IoT app development companies can create web applications which function by installing sensors – people can find out free parking slots, the municipality can detect meter tempering issues and electrical system issues. Medical devices set in subcutaneously to track vital signs for diagnostic health follow-up. These signs are communicated to the base station towards app in the cloud. Depending on the circumstances, the right people are notified of the critical signs. By utilizing communications logic, secure data after HIPPA laws escalating alerts or notifications as dictated by the scenario. Dam having water has multitude sensors tracking the water levels and the opening of the gates. Preset threshold interactions logic kicks in. Observing the schedule to see who’s on staff. If the specific people are on a team, they react to the action requisite. If not, the infrastructure notifications are communicated as per the policy logic and sensor details. The decisions on evacuation are taken logically, and nearby home can get the phone if removal is called in a specific situation. Safe business decisions were turning devices smarter. Badge for employees offers a way in to control and begin initiatives such as allocation of office assignments, desk details, insurance information and corporate security. Multiple profile details of the employee are reorganized continuously based on the last utilization of the badge, so you know where they are when it is required to communicate with them in an event needing their proficiency in an adjoining area or an emergency. All IoT solutions get to the bottom of problems, some are bigger, and some are smaller. IoT enables people to try an innovative approach by controlling and automating stuff remotely in diverse ways we couldn’t do earlier. Opportunities are at variance by industry, but every sector has many prospects. IoT is a combination of collaboration, communication, cohesion and amalgamation of various objects. It became more suitable and connected to the devices we utilize on a daily basis working through advanced technology. IoT has a fascinating future where millions of things will be working with each other without human intervention. There will be a massive shift in the way we live and work on a regular basis.